MOGADISHU (Reuters) - Turkish Prime Minister Tayyip Erdogan, keen to strengthen Ankara's ties with the African continent, said on Friday he would set up an embassy in Somalia and promised major infrastructure projects in Mogadishu. The visit by Erdogan, the first leader from outside Africa to visit for nearly two decades, was aimed at drawing attention to the famine sweeping across the Horn of Africa nation, which is leaving at least 3.7 million Somalis at risk of starvation. A four-year insurgency between al Qaeda-inspired Islamist rebels and the Western-backed government has turned the capital into a bleak mass of bullet-ridden houses, pothole-filled roads, mountains of rubble and overcrowded, makeshift camps filled with tens of thousands of Somalis. "This place is in flames, and it's possible to put out the fire," Erdogan told a news conference at the end of his one-day trip, during which he stopped by several refugee camps, a Turkish-run clinic and a damaged hospital. "This tragedy here is a test of humanity, human values, modernity and modern values. We're here to tell the world this test should be passed successfully to prove that Western values are more than empty rhetoric," said Erdogan, who was accompanied by his family and five cabinet ministers. Erdogan's visit also reflects Turkey's efforts to boost its profile in Africa as it has done in the Middle East in recent years and to promote itself as a model Muslim democracy. Turkey is behind other emerging countries such as China, Brazil and India in the race for new markets in Africa, but under Erdogan's AK Party government, Turkey has boosted trade with the continent and opened several new embassies there particularly in Muslim Africa. "We are going to build an embassy here soon. Our ambassador is going to start working at a location provided by Somalia, and later we will be given a large plot of land to build our own embassy," Erdogan said to wide applause during a news conference with the Somali president. Somalia has only five functioning embassies operating in the country: Djibouti, Sudan, Libya, Yemen and Ethiopia. The capital, which has been at the heart of a four-year insurgency between Islamist rebels and the Western-backed government, was packed with security forces, including Turkey's own special forces who flew in with Erdogan. Turkish flags fluttered in the coastal breeze and posters adorned the walls of mortar-blasted buildings and Somalis lined up to greet the motorcade as it rushed through the city, waving flags and applauding "Turkey! Turkey!" "Prime Minister Erdogan's visit tells us the Turkish people are closer to us than any other Muslim nation on earth," said resident Abdirashid Ali Omar. "The Turkish people are here to share with us in our time of need. It is momentous." Erdogan, who enjoys huge popularity in other Muslim countries as a strong and charismatic leader, has appealed for aid for Somalia throughout the Muslim fasting month of Ramadan, a time when donation to charity is emphasised. Erdogan also pledged to build a major road linking Mogadishu airport to the city, dig wells, send garbage trucks and build schools and houses to spare Somalis from living in camps. He has sprinkled his speeches with references to Islamic piety which will play well with his traditional voter-base of conservative and religious Turks. Erdogan has criticised wealthy Western nations for not doing more to alleviate the food crisis. At an Istanbul meeting on Wednesday of The Organisation of the Islamic Cooperation (OIC) countries pledged $350 million in aid to fight the famine, Erdogan said he expected more from them. At one dusty, windswept refugee settlement, Erdogan crouched inside the tent of Bashir and Fatima, a young couple mourning the loss of two of their four children who died after trekking 90 km (55 miles) to Mogadishu. The withdrawal of most Islamist militants from their Mogadishu bases earlier in the month has effectively handed full control of the capital to the government for the first time since civil war broke out in 1991. Somali troops and African peacekeepers are, though, still meeting pockets of rebel resistance in the city, highlighting the view of regional observers that the al Qaeda-linked al Shabaab insurgents are far from defeated. Somali President Sheikh Sharif Ahmed hailed Erdogan's pledge of support to his country. Tababaraha Kooxda Manchester United oo qeylo dhaan ku saabsan xaaladda Soomaaliya u diray taageerayaasha kooxdiisa. 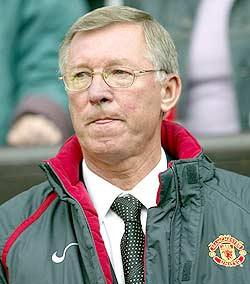 Isniin, August 15, 2011(HOL) Nairobi , Kenya - Tababaraha kooxda Manchester Unite Sir Alex Ferguson ayaa taageerayaasha kooxdiisa ku booriyay inay taageeraan, isla markaana ay dhaqaale u uruuriyaan carruurta Soomaaliyeed ee ay ku habsadeen macluusha iyo abaaraha. Sida ay qortay Jariirada Sun ee wadanka Ingiriiska Kooxda Manchester United ayaa go’aansatay inay billowdo olole dhaqaale caawimaad ah loogu aruurinayo carruurta Soomaaliyeed ee ku dhibaateysan dalka gudihiisa iyo xeryaha xaqootiga ee dalalka deriska ah. Kooxda Manchester waxay berri ciyaarteeda ugu horeysa ee xilli ciyaareedka 2011/12 ee horyaalka Ingiriiska ay la yeelan doontaa kooxda West Bromwich, iyadoo ka hor billowga ciyaarta uu si toos ah tababare Ferguson uu taageerayaasha kooxda United ugu sharrixi doono xaaladda dhabta ah ee ka jirta Somaaliya, gaar ahaan dhibaatada haysata carruurta yar yar.